BrainAround lets students make the most of their college textbooks, by connecting with other students, that study the same textbooks. Students can post questions about specific textbook problems or help other students by sharing their solutions. Your textbooks can be hard to understand, and the problems may be hard to solve. Even if you have the solution manual, things are not always clear. What problems does GoLofty solve? Textbooks can be hard to understand, and the problems may be hard to solve. Even if students have the solution manual, things are not always clear. 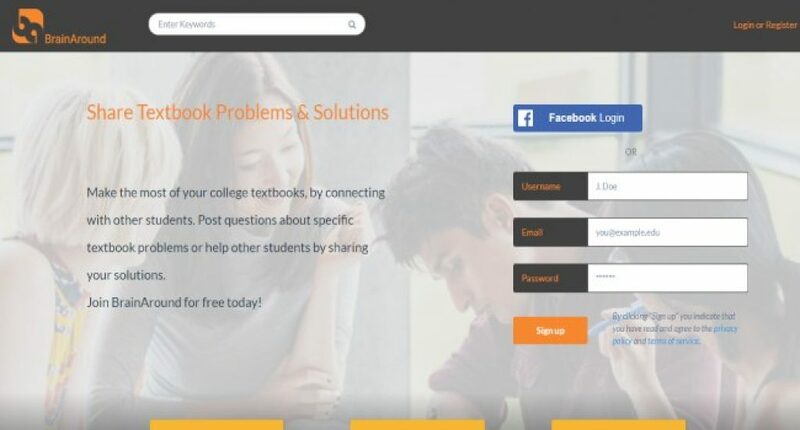 BrainAround helps students to make the most of their textbook, by connecting them with students that study the same textbooks at colleges throughout the USA. Students can post questions about specific textbook problems and content that they need help with. They can also help other students by answering their questions and sharing solutions. BrainAround was founded by the creators of BooksPrice.com. Booksprice is a leading textbook price comparison site since 2004. Product Manager with deep technology and R&D background as a developer and manager. I am involve in the entire product life cycle, including defining the strategy to win, creating the road map, working with the R&D to deliver the product, and working closely with the marketing and the delivery chain teams. I am constantly engage with customers to understand the problems that they face and the market needs and trends.